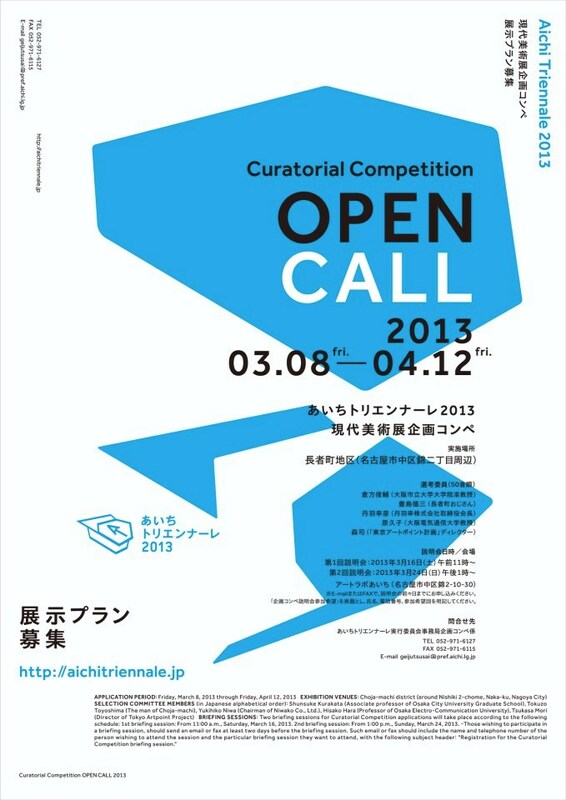 Aichi Triennale 2013 will solicit exhibition projects for the Choja-machi district as in 2010, with the aim of providing an open platform to artists and curators who are actively taking on challenges in the art world. About 10 selected projects will be realized as exhibition by the applicants during the period of Aichi Triennale 2013. The venue, Choja-machi district, has a distinct landscape and atmosphere with many time-honored wholesale stores.